Doug Spaniol is Professor of Music at Butler University where he has held a variety of positions including Interim Associate Dean of the Jordan College of Fine Arts, Interim Chair of the School of Music, Assistant Chair of the School of Music, and Vice-Chair of the Faculty Senate. He also serves as Instructor of Bassoon at Interlochen Arts Camp each summer. He has twice been a visiting professor at The Ohio State University and previously served on the faculty at Valdosta State University. In 1992, Dr. Spaniol was named a Marshall Scholar enabling him to attend the Royal Northern College of Music in Manchester, England, where he earned the Postgraduate Diploma in Performance. He has also earned a DMA degree from The Ohio State University as well as MM and BM degrees from the University of Illinois. His bassoon teachers include Christopher Weait, William Waterhouse, and E. Sanford Berry. In 2011, Dr. Spaniol was named a Fulbright Scholar, leading him to teach at the University of York (UK) and further his research in to Julius Weissenborn’s pedagogical bassoon works. His instructional book, The New Weissenborn Method for Bassoon (Hal Leonard), has been called "an invaluable addition to bassoon literature...a landmark in pedagogy" (DoubleReed News). His recent edition of Weissenborn’s Advanced Studies, op. 8, no 2 (Accolade Musikverlag) was noted as “a must buy for every bassoonist” (The Double Reed), largely because it makes available for the first time all 60 of these studies. Current scholarly work includes a new edition of Weissenborn’s complete works for bassoon and piano, which will feature three recently discovered works. The first volume of this three-volume set was published by Accolade Musikverlag. His bassoon students have enjoyed remarkable success, placing in the Yamaha Young Performing Artists Competition, the International Double Reed Society’s Young Artists Competition, and the Meg Quigley Vivaldi Competition. Other competition successes have lead to concerto performances with the Indianapolis Symphony Orchestra (two students), the Butler Symphony Orchestra (seven students), and Interlochen's World Youth Symphony Orchestra (three students). His students have also performed on National Public Radio’s From the Top and won positions and/or performed with the National Symphony Orchestra (Washington DC), Indianapolis Symphony Orchestra, Louisville Orchestra, Indianapolis Chamber Orchestra, Sinfonia da Camera, and other professional ensembles. Dr. Spaniol has presented masterclasses and workshops at the Royal Academy of Music, Royal Welsh College of Music and Drama, the St. Petersburg (Russia) Conservatory, Indiana University, and many others. He frequently appears as a performer/presenter at conferences hosted by the International Double Reed Society (IDRS), College Music Society, Music for All, and other music education organizations. He also served for six years as the Bassoon Chair for the IDRS's Fernand Gillet - Hugo Fox Competition. As a performer, Dr.Spaniol has appeared as concerto soloist with Sinfonia da Camera, the St. Petersburg Classical Symphony Orchestra, Solisti St. Petersburg, the Central Ohio Symphony Orchestra, the Philharmonic Orchestra of Indianapolis, and bands and orchestras at Butler and Interlochen. He can be heard on recordings on Albany, Capstone, Centaur, Innova, and Zephyr Records. As principal bassoonist of Sinfonia da Camera, Dr. Spaniol has toured England, been heard on NPR's Performance Today, and appears on the Classical Music for Dummies CD. He has also performed with the Indianapolis Symphony Orchestra, Indianapolis Chamber Orchestra, Columbus (Ohio) Symphony Orchestra, and performed and/or recorded with popular artists such as The Rolling Stones, Art Garfunkel, Sandi Patty, and Michael Feinstein. 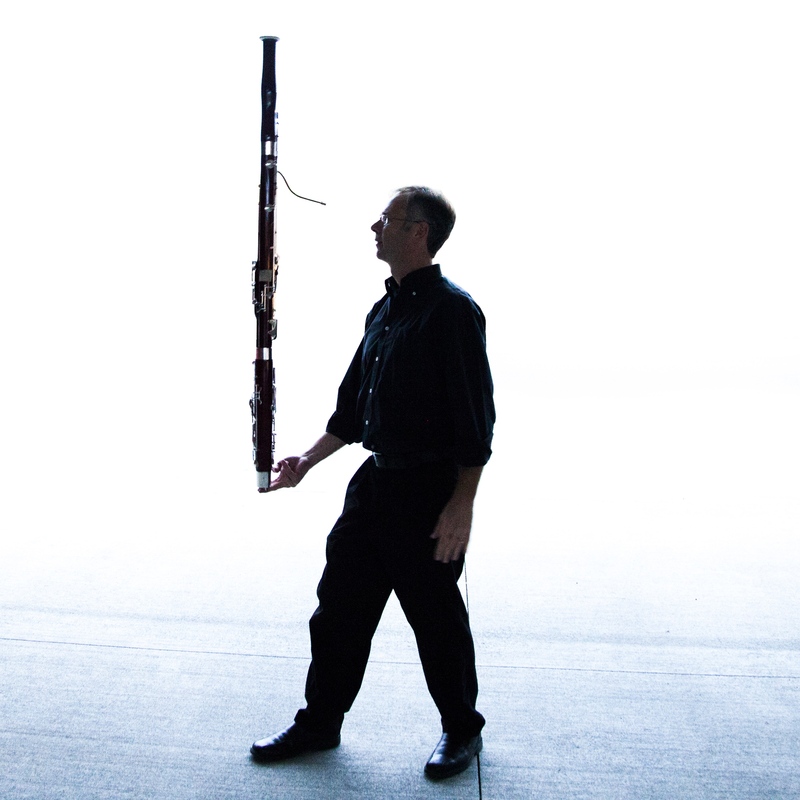 A Yamaha Performing Artist, Dr. Spaniol plays a Yamaha YFG-811 bassoon. Click 'Résumé' below to learn more about the Bassoon Studio at Butler. Click 'Curriculum Vitae' to see my CV.